Carefully brush away the sediment to expose an accurate reproduction of a Jurassic dinosaur skeleton. Great for kids of all ages. Draw a map of your find for a chance to win a prize (monthly). 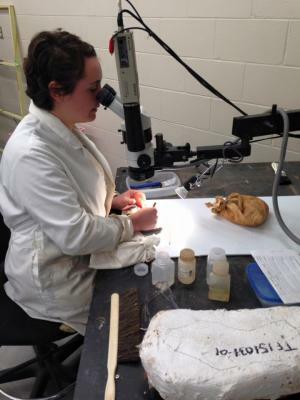 Look into the Fossil Research Lab to see what new dinosaurs are being studied. 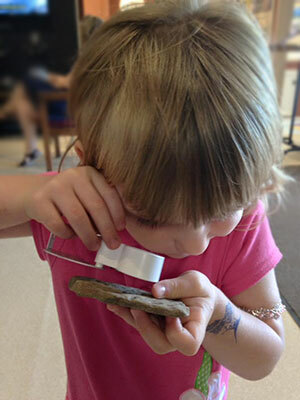 Talk with Museum paleontologists and volunteers that are cleaning and studying the real fossil specimens. Ask questions during regular public presentations in the Exhibit Gallery. Explore how the continents have moved and changed through time. 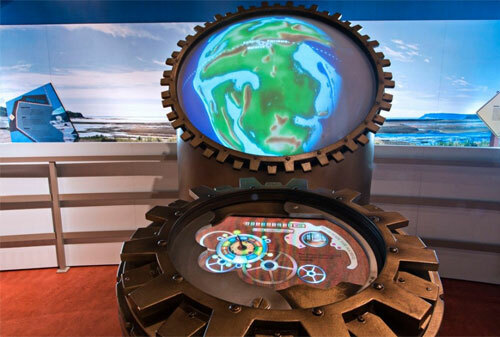 Interactive touch screen and projection globe. 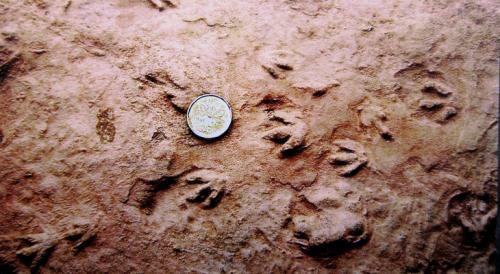 Found in 1984 by Eldon George, the “world’s smallest dinosaur footprints” were featured in Time Magazine in 1984. See the specimen, now on display in the Fossil Footprint Gallery. 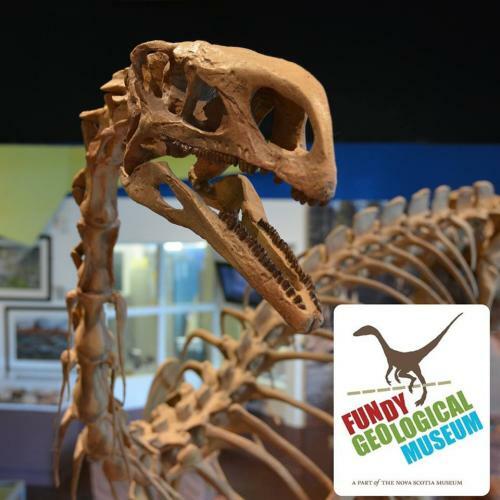 The Exhibit Gallery has minerals and fossil on display with interactive exhibits and videos. Ask about the guided gallery tours. Dates and times vary.